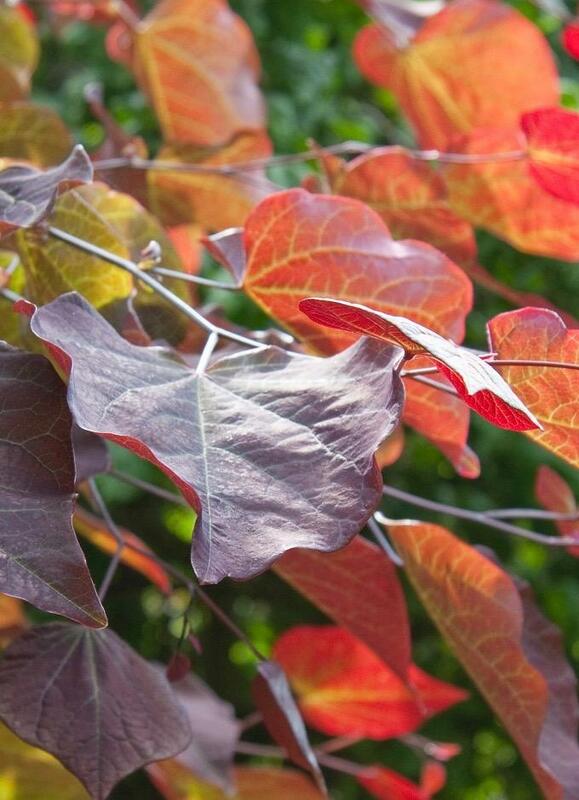 A form of the judas tree, originates from Canada and eastern USA. Pink flowers March/April on bare stems. Wonderful ruby wine leaves, glossy when young. Sun, dislikes cold winds. 8m tall. AGM.